What happens when an Ancient Sumerian (not Babylonian) god gets summoned in the middle of New York City, takes the form of the giant beloved mascot for a marshmallow company, and starts smashing buildings? It's only the most adorably terrifying thing you'll ever see! How such a massive monster can seem so cute and hug-able, while it simultaneously stomps on cars and makes people flee for their lives, is a total mystery to us. Unfortunately, this kind of thing only happens in movies, so we may never get to figure out why those kinds of monsters look so sweet and scary. 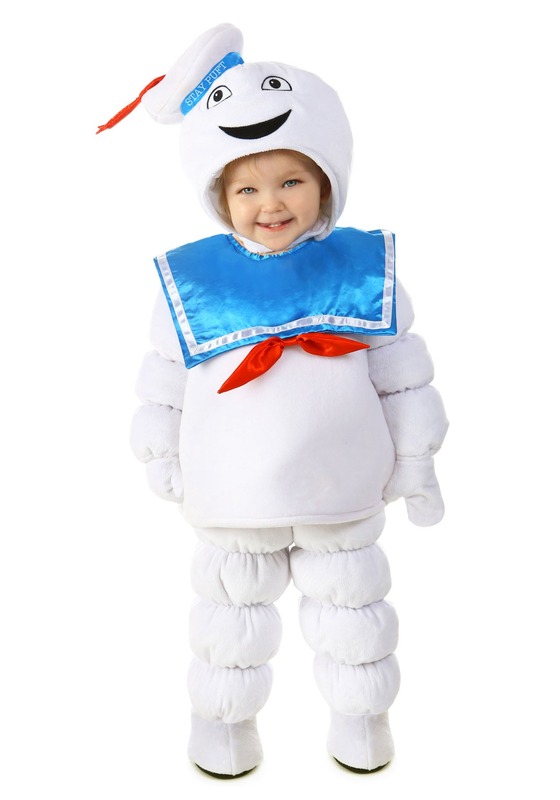 But when you dress your little one up in this Deluxe Stay Puft Costume, they can go on their own adorable little rampage, just like the Stay Puft Marshmallow Man did in the spooky classic comedy Ghostbusters! You probably won't have any problem thinking they're the cutest monster ever, though, mainly because they won't be 100 feet tall and made of trans-dimensional ectoplasm. 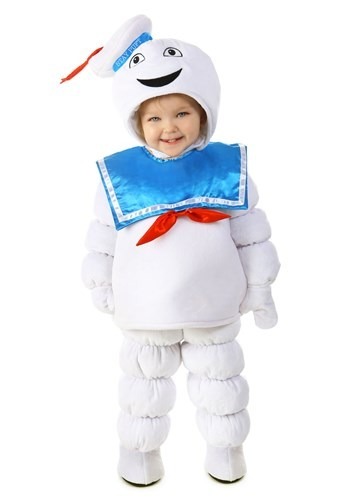 Your little buddy will be as soft and cuddly as the marshmallows they look like they're made of in this plush costume, which features attached shoe covers and mitts that can be flipped back for extra comfort. 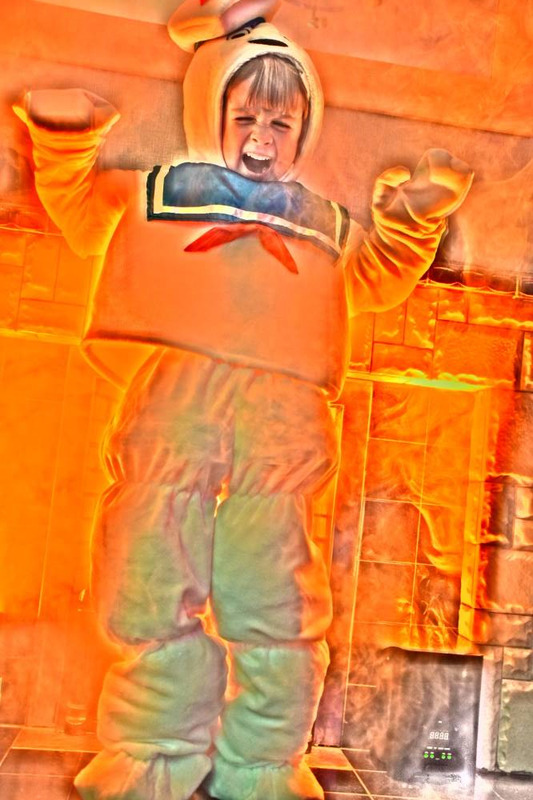 The matching hood is embroidered with Mr. Stay Puft's happy smiling face, and has an attached sailor cap for the complete marshmallow man look. You won't have to cross the streams to stop this little monster; just eating some candy and watching Ghostbusters together should do the trick! My daughter loves wearing this costume good quality, had lots of comments on how cool it is. My daughter is 6 and I ordered a size small plenty room will do her next year too. So many laughs, compliments and approvals for this costume! I bought this for my 1 year old, 18-24 months sizing b/c he's on the bigger size and it fit great, was perfect for colder outdoor weather! Arrived on time overall I am very pleased with my purchase!